Modern technologies have changed the way we access information, and many libraries have adapted to this new reality. Modern libraries are not places to read printed editions; now, they are more like media centers, meeting places and entry points into the world of digital information. Let’s find out how the libraries of the future will look like. In the old libraries, there are catalogues to help find certain book, and such catalogues are sometimes hard to use. Luckily, the libraries of the future, which are going to become not just a place to read books, will not have such a problem. Catalogues will be replaced with bookmarks which will also act as guides. For example, a Chinese design company Toout has already designed a bookmark which reads digital catalogues for visitors. Then, it provides readers with turn-by-turn directions to the needed book. Besides, it keeps track of the books each reader borrows and reminds them when to return the books. What if people did not have to visit libraries to get books but the books came to people instead? What if a drone delivered books to us? This is not a joke. In Australia, there already exists a book delivery service that uses drones. The question “What to read: traditional books or ebooks?” will not be an issue anymore. A technology company Fujitsu has pioneered a new technology dubbed Fingerlink, which combines best elements of printed and electronic books. Fingerlink is a stand with a camera and a projector. If you place the camera next to the book, it reads the content. The projector overlays the page a person is reading with an interactive digital interface. Due to this technology, the reader can copy passages from the printed books, find translations in the web or make highlights. There are also pens with digital readers, like the Ivy Guide. This pen’s reader has an Optical Character Recognition capability, which can read text. If you need to translate a paragraph, you just have to underline it with the reader. Then, the translation appears on your laptop. We can expect future libraries not to resemble the old edifices we are accustomed to seeing, and we can expect more people to enroll in an online MLIS program to stay with the times. The libraries will use interactive bookmarks which will help the readers find required books. Printed editions will have digital interfaces, and pens will have an option to read what people write. 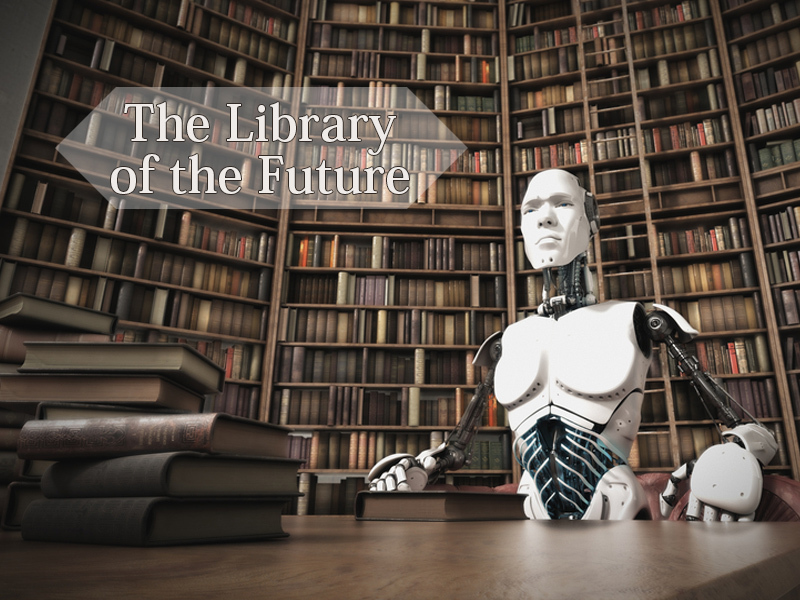 Technologies will greatly change the libraries of the future for the better.